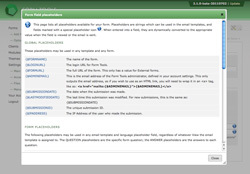 Users familiar with earlier versions of Form Tools will know about the placeholders. Any time you construct an email template you'll see that the email content is full of placeholders. These are just variables that get replaced with content from the form as the emails are actually constructed. Placeholders are used throughout the application to provide you with a little more control over what appears in the fields. In 2.1.0, field that accept placeholder now have a "world" icon that appears at the right of the fields. Just click that and it will open a dialog window like in the screenshot. 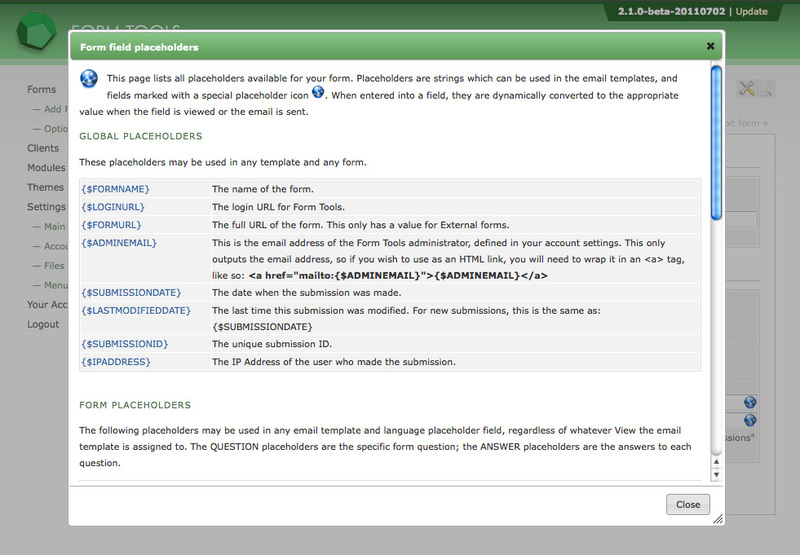 That displays all available placeholders with some descriptive text explains what each placeholder contains.